Home » Posts tagged "Fabric Inspection"
Finished dyed fabric is not always available for garments manufacturing process, most of the time we have to prepare the fabrics before manufacturing garment products. To ensure effective preparation we have to go through different processes, after that we get the required form of fabrics for manufacturing. All the processes involved with fabrics processing before manufacturing garments are considered as fabric preparatory process. 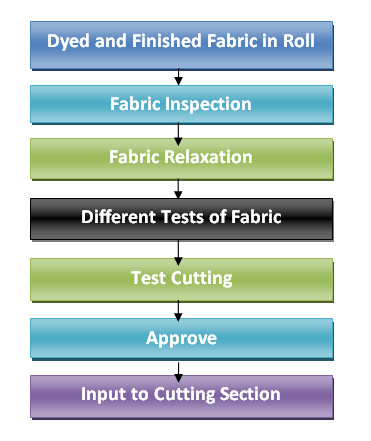 *Fabric Inspection is done by 4 points system to determine all kinds of fabrics and dyeing fault. Because of proper inspection of fabric a quality product can be manufactured.